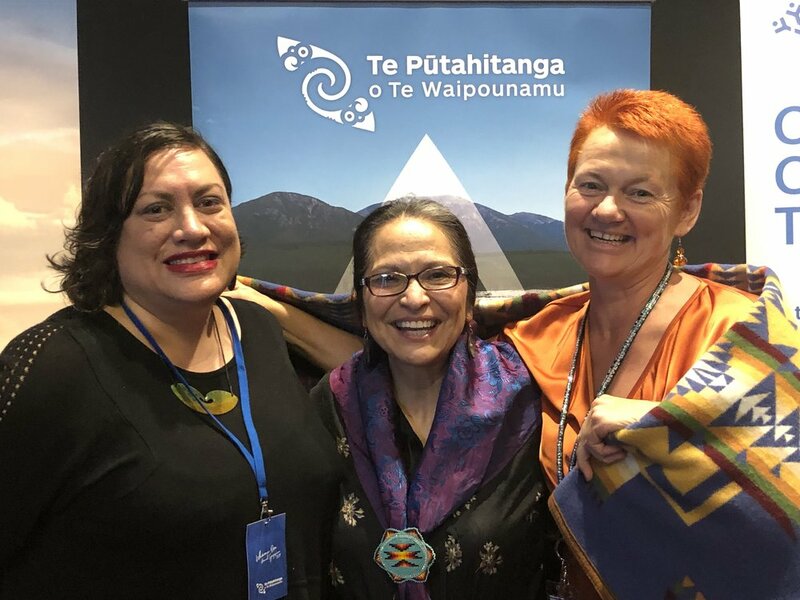 As our international speaker, Jo Ann Kaufmann boarded the plane back to the Nez Perce Reservation, (Kamiah, Idaho) she posted a message to us all: “Congratulations on the wonderful and groundbreaking work you all do at Te Putahitanga. I am still processing the amazing messages received from the last several days”. I think she spoke for us all. How do we even begin to process the insights, the challenges, the inspiration and the thinking that has motivated our whānau to be amazing? I remember Rangi Mātāmua once saying while it is wonderful that we focus on the promise of Matariki and Puanga / Puaka, there are actually thousands of stars; some just out of view; some just waiting to be seen; some sparkling in their own radiance; others emitting a glow that illuminates a path for us all to follow. That’s what it has been like at Puao te rā, uramai te rā! So many moments that warm the heart and give us plenty to ponder on. A couple of weeks before the symposium, we had done a tour of the venue and were worried about the inconvenience and cost that would be involved to cater for carparking. One of the team from Ariki Creative, Max, undertook some research into land titles, and when we found out the name of the owner of a vacant lot opposite the Town Hall we wrote to the property owner and asked if our cars could park on his space. The day before we were due to open he wrote back with a yes. I knew then we were in for an amazing week. People putting themselves out; going the extra mile; looking after the interests of others before our own. That’s manaaki. From Aunty Kiwa whirling and rock’n’rolling on the dance floor, to the taua serenading the Modern Māori Quartet in true fan-girl style with the torch on their iphones; to the pride and passion of the FUSH workshop 100% in te reo to the tuna and kaimoana shared so freely by Matua Pere and the Ōnuku crew – it was a wonderful week of Whānau Ora in the whare. Our whānau leaders endorse a whānau kawa. We were spoilt with Ministerial endorsement this symposium. Minister Mahuta shared reflections the last month since the massacre of March 15. 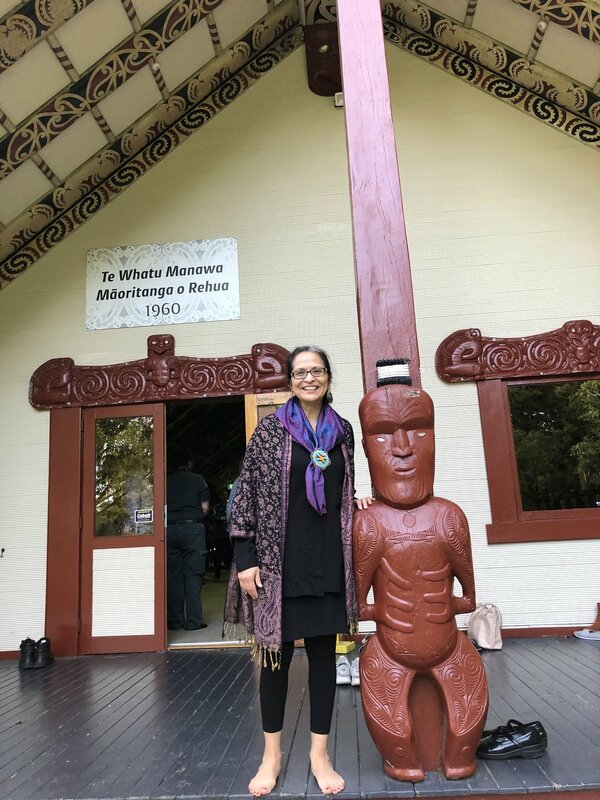 She told us that culture connects communities; that extending the hand of manaaki, was a kaupapa driven practice that the nation has taken on – and we need to build on that platform for positive relationships. 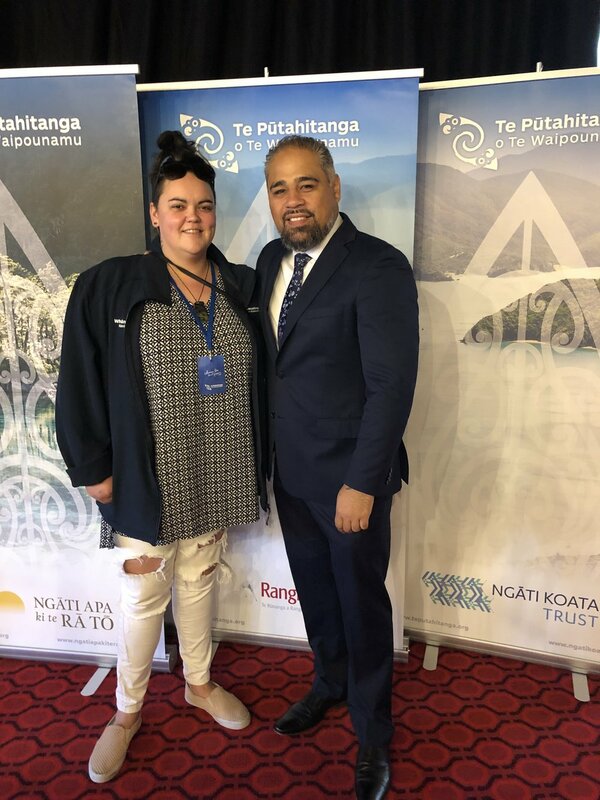 Minister Henare talked about the need to bring on other funders to support whānau in greater numbers than present – but he also warned us about not diluting the message. 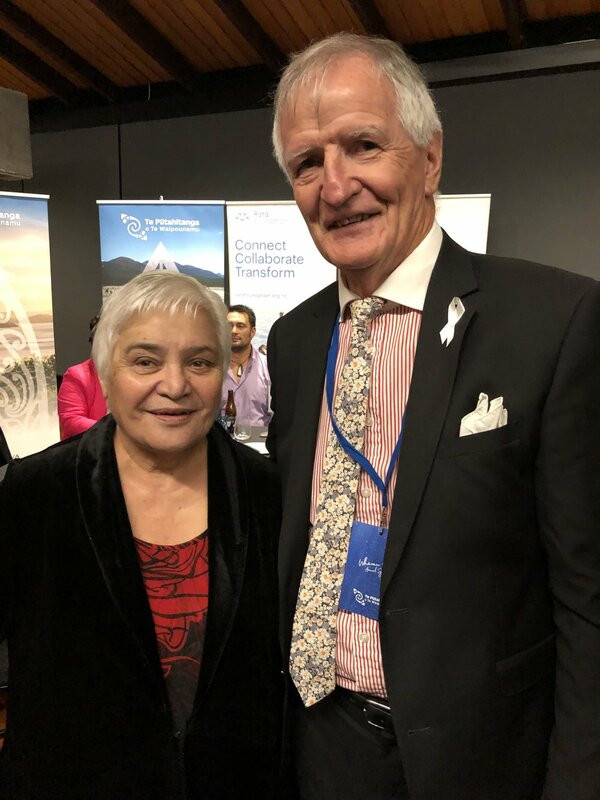 Immediately after the Minister, was Donna Matahaere-Atariki who laid out the challenges and opportunities between Māori responsiveness (more than just a seat the table); Citizenship equity and Mana motuhake. She told us culture is the shadow that values leave behind; that if we don’t perceive value in a relationship with agencies – if that agency isn’t performing well in relation to you – then move on! There was a message from the three speakers, repeated by others throughout the symposium, that failure is not to be feared; indeed it’s an opportunity to learn fast. The enormous grin of Ezekiel accompanied his message to the rangatahi who were sitting at the back of the room: learn off your pakeke – be present; be participative of the kōrero; don’t be afraid of your voice. Learn from the challenge of a game of chess: sit in the front seats of the hui. Tamatha Paul –President of the Student Union at Victoria University - reinforced the value of inter-generational learning; how to appreciate the village around you, that gives you room to use your voice for a broader purpose. Finding that purpose was a challenge from our opening day speakers, particularly Maruhaeremuri Nihoniho and Rangimarie Parata-Takurua. Maru talked about a youth spent in spacies parlous, providing her with an inquisitive spirit and a desire to find the means to communicate important messages through technology. Rangimarie talked about the whānau dream to learn. She asked, how do we raise achievement, expectations, engagement, cultural connections. How do we take on a more relevant learning relationship? Success is being loved. Success is coming home to a hot meal; coming home to parents not drinking; coming home to parents. His words became the theme of our days together : We are the dawn, the care, the light, the compassion. Our international speaker ended the first day with the tragic reality of genocide in the Americas; the impact of colonizing forces determined to eliminate the indigenous peoples, the impact of genocide on the global climate. She spoke to us of ways to take care of ourselves, to enjoy the love of music, to be rich in spiritual balance and wellness. And she talked about survival: planning, storing, anticipating, canning, preserving – anticipating. Our second day ended with some helpful hints from Dr Catherine Savage: demonstrate your impact, be clear about what value you add, think about your purpose, develop your pathway, build your capability, hustle. Inbetween the keynotes, we were thrilled, inspired, moved, mobilized by a wonderful array of showcase sessions which gave us all food for thought, literally! We were looking for something that provided the space to be Māori first; to be ourselves ; there would be a home for everyone”. That’s what Puao te Rā has been about – finding a home for everyone. A place to share the innovation of ‘Kaihaukai’: a social movement to bring back the giving and exchanging of kai. I loved the concept that if we give kai out Tawhirimatea will bring something back to you. A place for our amazing grandmother, Piwi Gwyneth Beard to share the magic of her mokopuna Tanemahuta and Aka, as they sing their anthem of hope, ‘no more violence’. A place for the talents of Project Miere to be heard, as we purchase our art works; sculptures; clothing, jewelry; organic foods; hoodies and caps; greeting cards; lip gloss; essential oils. A place for Dame Tariana to ask us the question, ‘what is the legacy we leave behind?’. A place for Tā Mark Solomon to announce the 32 successful applicants of Wave nine – and in the same breath to remind us about the need to focus on safe homes, safe places, Tū Pono: Te Mana Kaha o te Whānau. We are so grateful to so many – the nine iwi who have stood by every step of the way; believing that in whānau we find our greatest solutions. Our General Partner Limited Board led by Trevor Taylor – who keep providing the support and the learning for us to be the best commissioning agency we can be. Our independent assessment panel – this symposium saw Trevor Taylor acknowledge the skillful leadership of Dr Lorr Eade who has retired after eight waves of investment. And the beautiful generosity of our mana whenua Ngāi Tūāhuriri, who welcomed us into their space, who danced and dined with us, debated and discussed at every forum, and then blessed us with the final words of farewell. If Whānau Ora is about disrupting intergenerational dependency on others, and instead investing in solutions written by whānau, then we need to operate from the premise that whānau know best about making decisions for their benefit. Whānau know best. We thank you – all our whānau – for your love, your legacy, your laughter, your lessons, your challenges, your tautoko, your patience, your belief. We are so much better prepared for our future because of you.